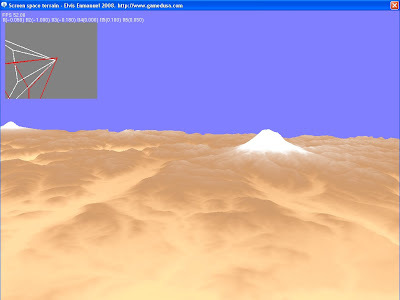 Lastest days I've been busy coding a demo of a "screen space terrain". There isn't geometry here, only heightmaps. A grid is projected over a plane by a projector camera (in red). At now I'm trying to fix vertex interpolation and making a more better projector. 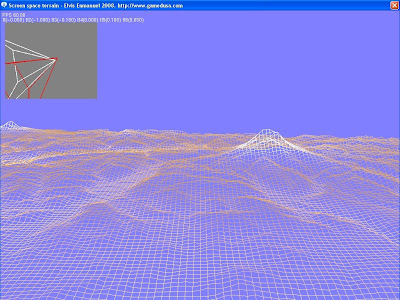 Frame rate is constant because the projected grid has the same size along the scene. When I finish it, I'll upload a demo with full source code. I used the concept of projected grid that I saw in the famous water demo . After I have the idea of using the technique for terrain I found this paper.